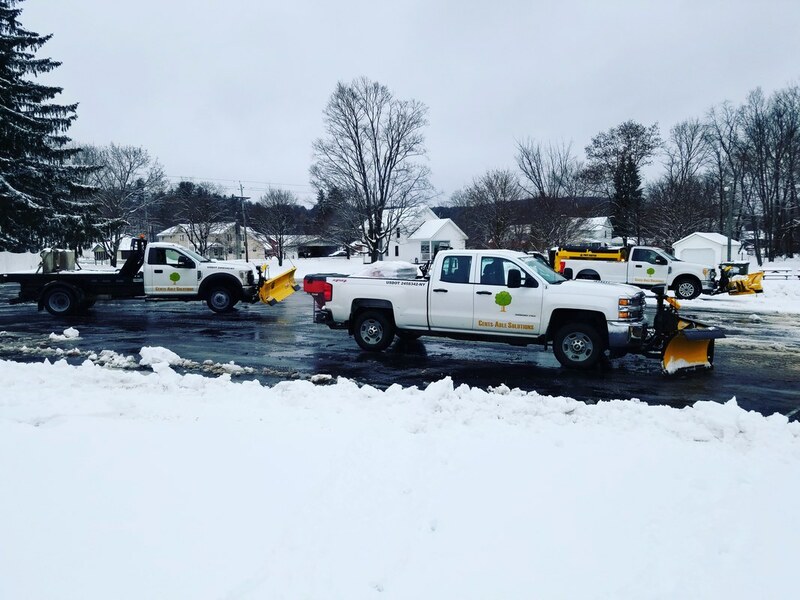 Cents-Able Solutions LLC is committed to Commercial Snow and Ice Management services that will keep your property looking it's best even in the worst of conditions. 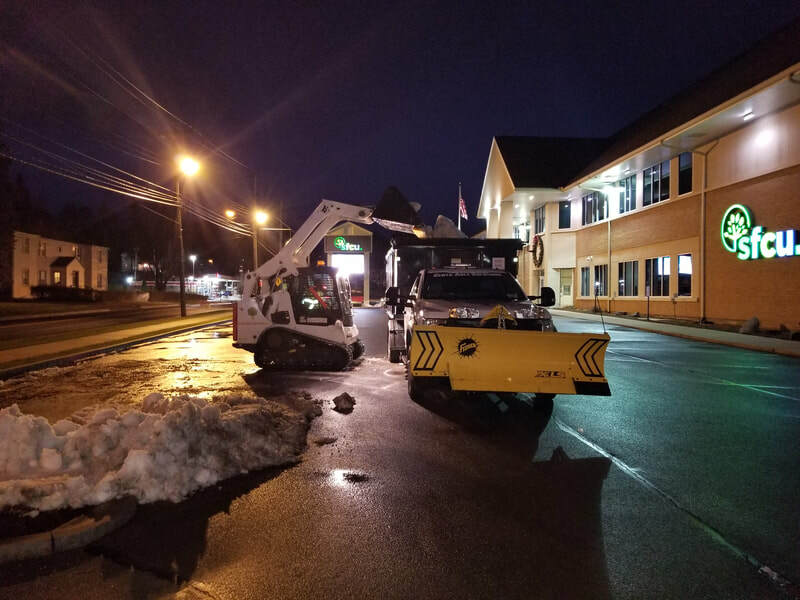 Commercial accounts require specialized services ensuring parking lots and roadways are cleared and safe for tenants, customers, and visitors. 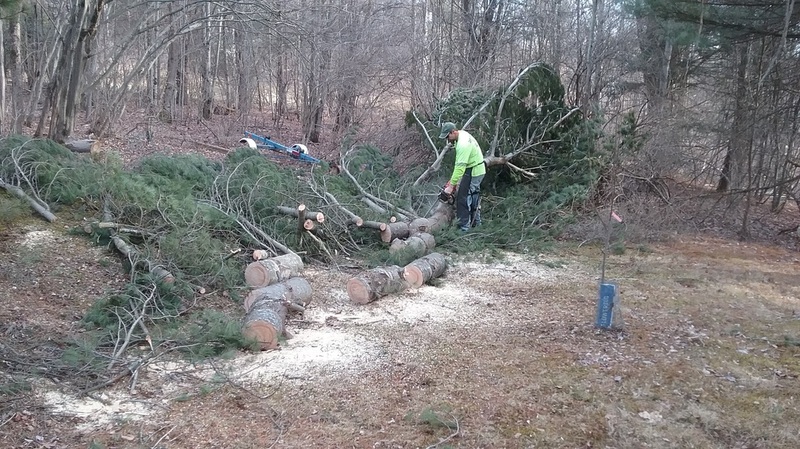 This requires a snow and ice company that is equipped and prepared. 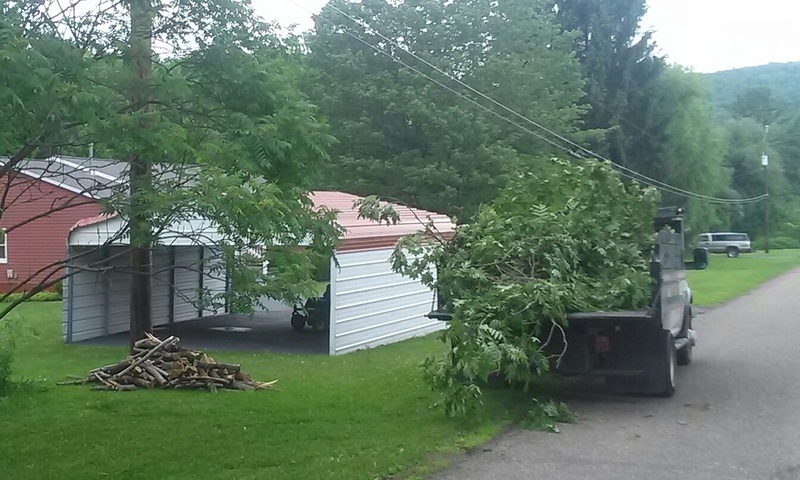 We monitor the incoming weather, then prepare equipment and supplies to go to work so that your property is cleared on time. 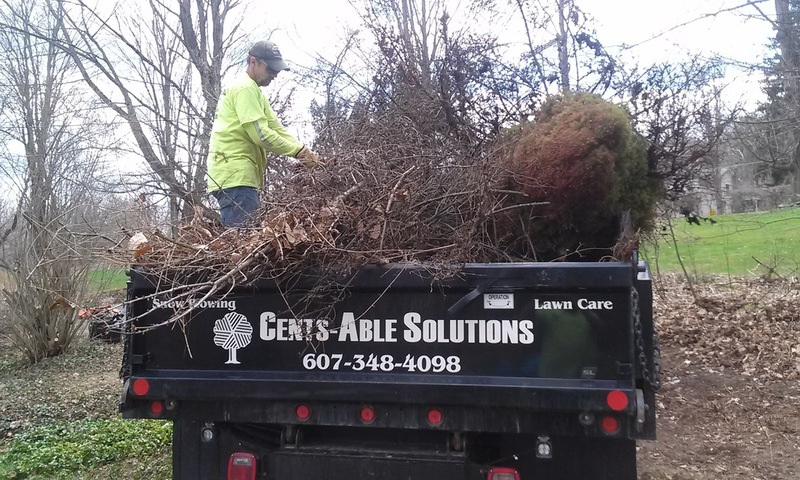 Cents-Able Solutions, LLC provides personalized attention to our customers. We know that our customers count on us to be there! 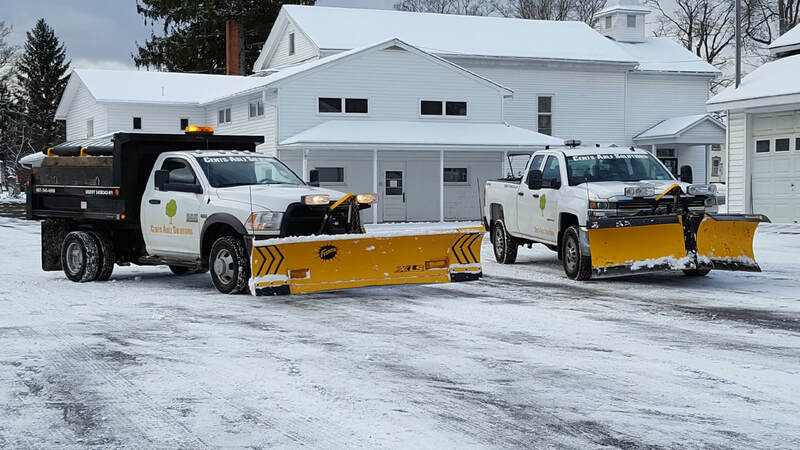 With a successful track record for over 10 years Cents-Able Solutions LLC may be the perfect solution for your winter maintenance needs. 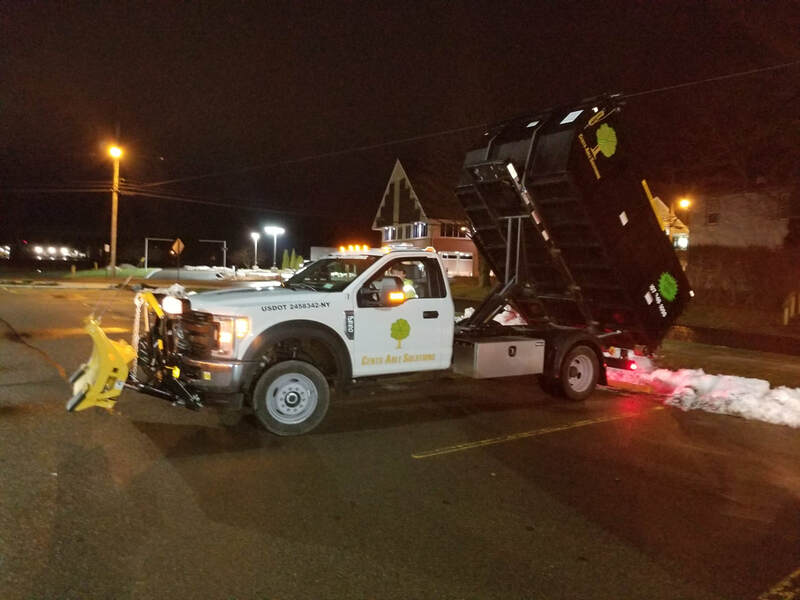 We offer salt spreading services for parking lots and driveways. Cents-Able Solutions stock piles both bagged and bulk salt all winter long immediately replenishing supplies if daily usage requires it. Accurate records are kept detailing when areas are treated. Rock salt is less expensive and effective to melt ice down to temperatures of 5 degrees. This is an effective way to melt ice and dry paved surfaces without the mess that comes from sand. Sand is also stocked and available upon request. Sand should only be used as an abrasive to add traction. This has no melting characteristics. Sand is generally used on gravel surfaces. Calcium Chloride is available to spread on Sidewalks. If traditional ice melts are not an option due to vegetation or pet concerns ask about our alternatives. 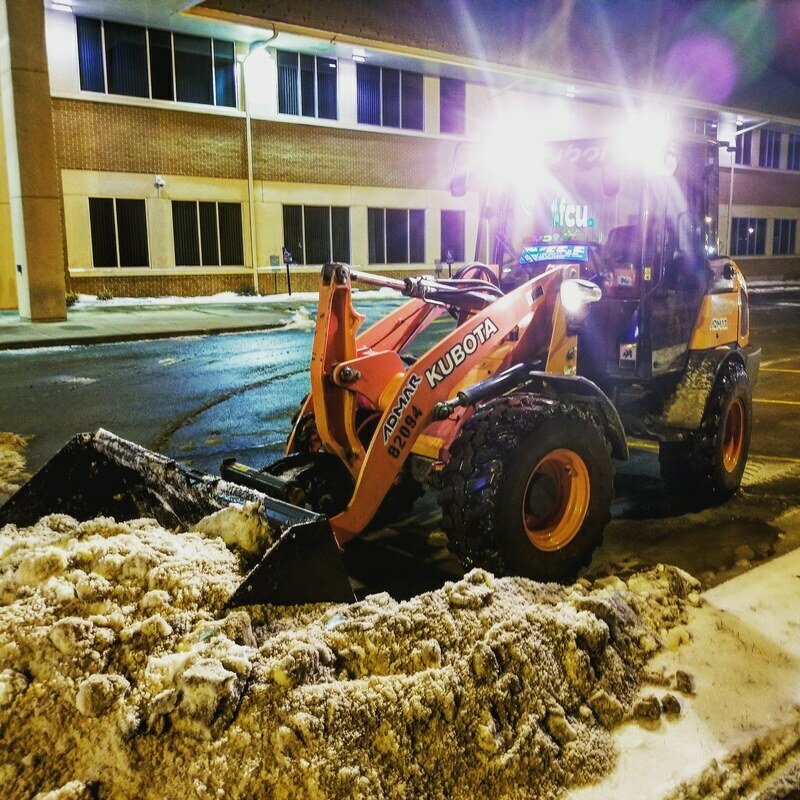 Sidewalk services are available to efficiently clear walkways. Sidewalk crews go to work shoveling, snow blowing, and applying ice melt with attention to detail. Cents-Able Solutions has specialized equipment for snow stacking. As the snow starts to pile up and space becomes an issue you may require that the snow piles get moved or stacked. We can bring in a compact loader to free up parking spaces for customers and tenants. Call us for any of your stacking needs. When space is limited and snow stacking just will not do then it is time to haul the snow away. 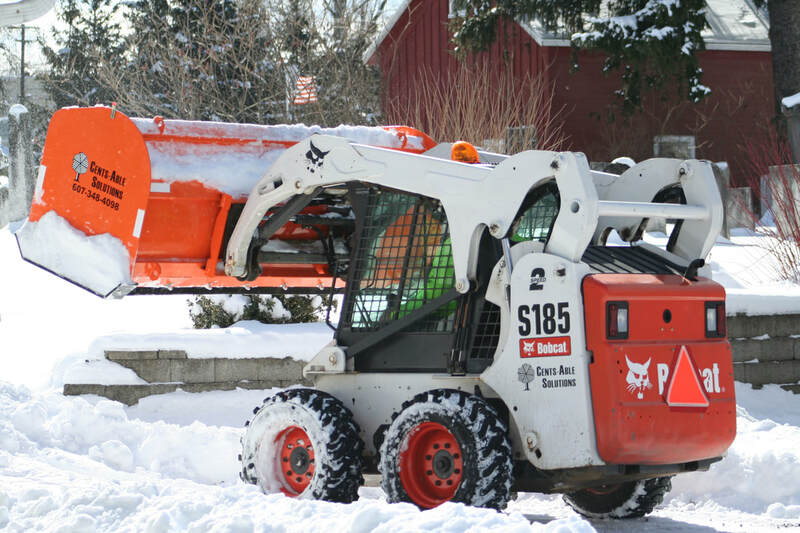 We have a roll off flat bed truck capable of skid steer transportation as well as snow hauling containers to move large quantities of snow efficiently. 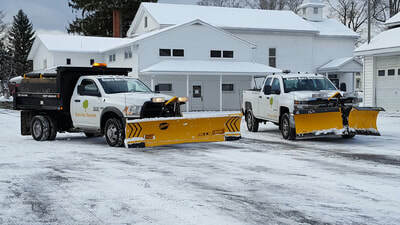 Call us for your snow removal and hauling needs. 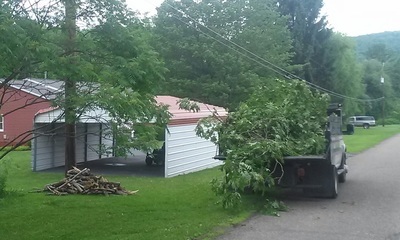 During winter storms snow and ice can accumulate causing downed trees, or even fallen branches on homes, cars, etc., give us a call for clean up and removal.